Megan has a passion for combining creative ideas and education to tell the stories of our natural world. These stories are shaped by their physical location which provides changing opportunity for engagement and enrichment. Her work includes the romantic story of pollination, information to encourage more sustainable living, and an ongoing exploration in blending different ecosystems together. 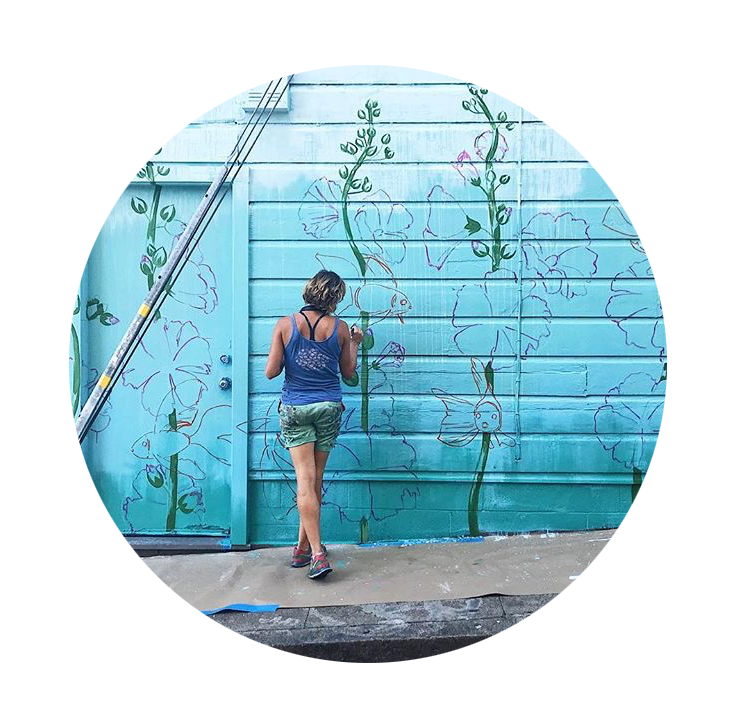 Pulling from her architectural experience, her work takes form in a variety of different mediums from drawing and painting to public art of murals and installations.